So F1 is back and it’s time to fire up those engines and spin those wheels! The first venue? Melbourne, Australia! 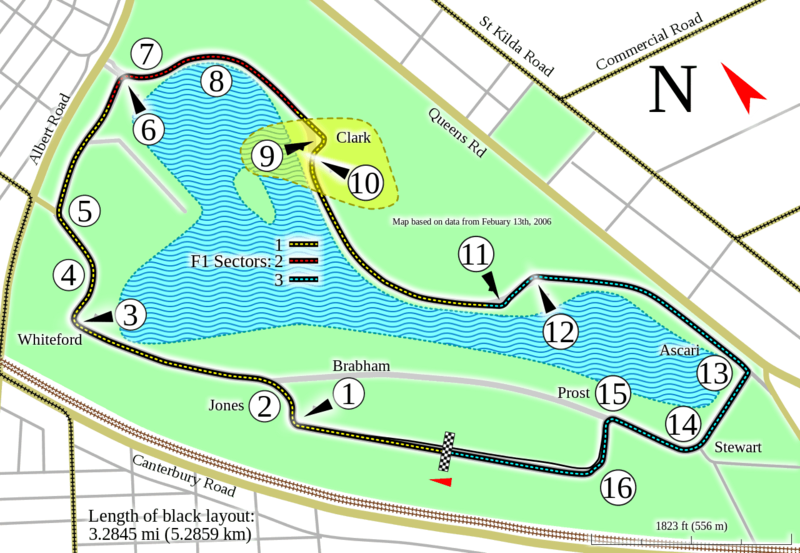 This popular circuit will be hosting its 20th Formula race when the racing proper starts on the 15th of March. Since the Grand Prix moved from Adelaide to Melbourne the man with the most wins here is seven-time world champion Michael Schumacher (four wins) and last year Nico Rosberg won here for Mercedes. Damon Hill won the first ever F1 win here, for Williams in 1996. So what is the track like? It’s a street circuit, and a pretty fast one at that. Rosberg completed 58 laps in just over an hour and a half last season, and set the fastest lap of 1.32.478. There are several fast curves and corners you can attack harder than you might think at first glance. Turn 2 is pretty quick and Turn 5 are quick, as are turns 10, 11, 12 and 14. You can either apply the brakes only a little or even not at all, if you’re feeling brave. However, beware Turn 1 (which comes very suddenly after the start/finish straight), which does require some firm braking, and Turn 3 as well, which is a beast of a right-hander. Turn 15 is also pretty meaty. This is one of my favourite tracks on F1 games. Fast, but with corners you can sink your teeth into. I look forward to the race!